Carli Stainless Low Mount Stabilizer is a must-have addition if you are running larger tires or suffering from lack of control due to your worn out factory stabilizer. Carli Suspension 14+ Ram 3" linear-rate springs are specifically designed for maximum compliance and control. Engineered to function perfectly with the Heavy Duty Ram's new-style suspension. Carli Suspension 14+ Ram 2.5" linear-rate leveling springs are specifically designed for maximum compliance and control. Engineered to function perfectly with the Heavy Duty Ram's new-style suspension. 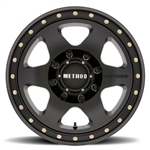 Superchips Flashcal tool for Dodge Ram Truck Diagnositcs, Tire Calibration, TPMS settings Speedometer correction The Method MR311 Titanium Vex is a one-piece wheel that features a simulated beadlock ring by way of a strategically placed under-cut on the outer lip of the wheel. The Method MR311 Titanium Vex is a one-piece wheel that features a simulated beadlock ring by way of a strategically placed under-cut on the outer lip of the wheel. The Method MR310 Con 6 is a clean and simple 6-spoke wheel. The Method MR310 Con 6 is a clean and simple 6-spoke wheel. The Method MR310 Con 6 is a clean and simple 6-spoke wheel.